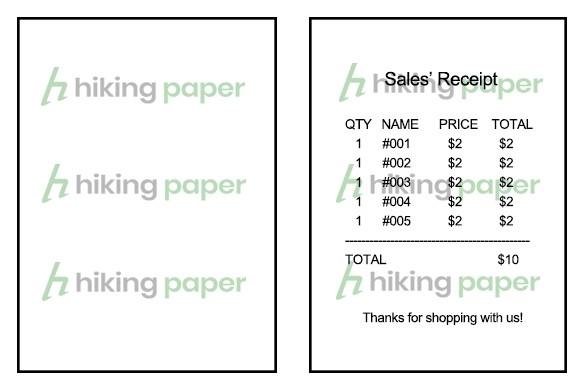 Nowadays, thermal paper roll becomes the most popular receipt paper used in POS and retail industry for restaurants, coffee shops, shopping malls and other business utilities. 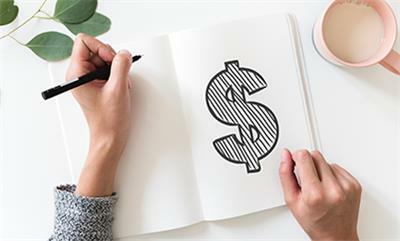 As time goes on, some business owners realize the benefits of custom printed thermal paper rolls. Because it’s a cost-effective business marketing tool. 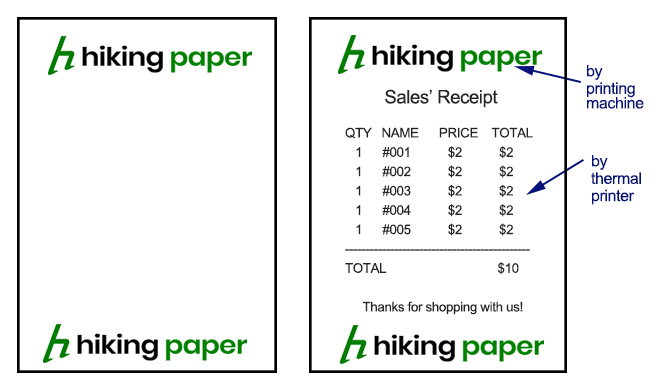 With customized ads like logo, promotion code, new products, printed receipt paper rolls deliver message to customers more effectively. 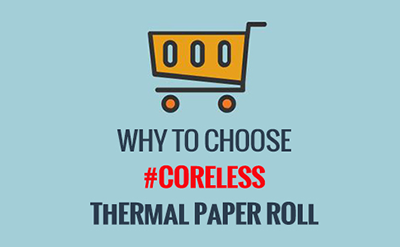 In the following, I will list some points on how to advertise on thermal paper rolls. The receipt is a piece of paper. You can print anything on it as what you see on other paper media. 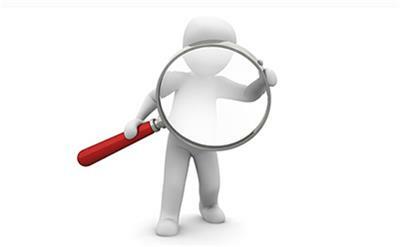 1) Logo, contact information for supermarkets. 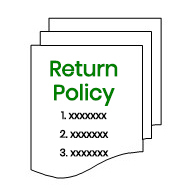 2) Slogan, return & refund policy for shopping malls. 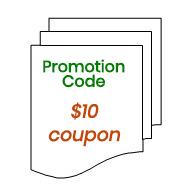 3) Promotion code for coffee shop. 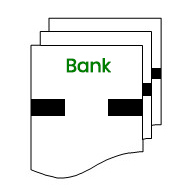 6) Black sense mark for ATM to detect and cut paper receipts. 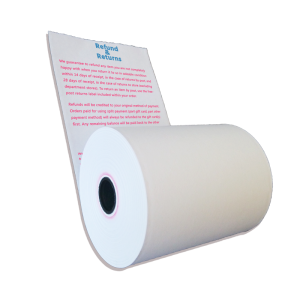 The custom printed thermal paper is accomplished by technology of flexography. The printed image is transferred to the paper directly through printing plate. Here is the picture of manufacturing process. As you can see, the printing plate is wound on cylinder. In the printing plate, the image or printing area is raised above the non-image areas. So the raised part is easily printed on thermal paper. In this case, one printing plate is for one color printing. 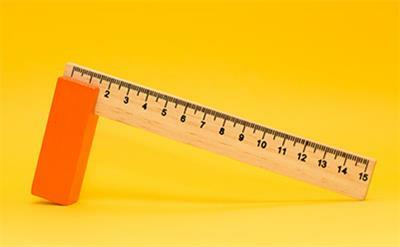 The length of printing plate is according to cylinder. We have a couple of cylinders to meet customer requirement. When we design the plate, we can put as more ads as possible. Actually, there’s no much restriction on back print. 1-5 colors is OK. Normally, we just print advertisements on back side of thermal paper. 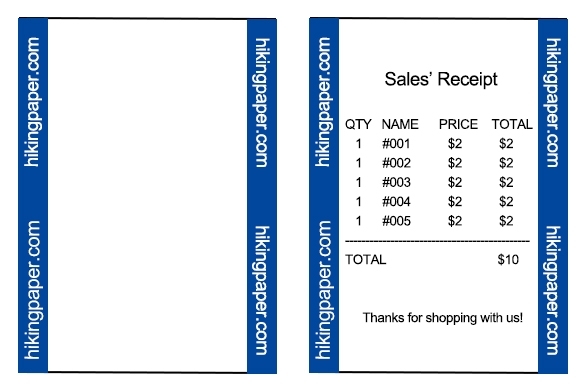 Thermal front side needs to be printed with sales transaction information. There’s no much space to print full color advertisement freely. 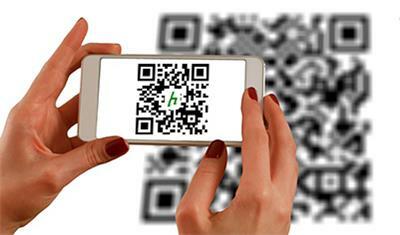 As you know, thermal front side is for merchants to print transaction information. 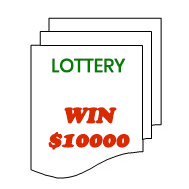 To draw attention from customer, the front side can be also printed with advertisements. 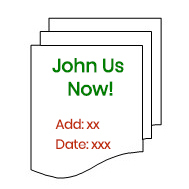 To print clearly and attract attention at the same time, there’s 3 tricks for you. What do you need to provide when you want custom printed rolls? All you have to do is just send us the original artwork, or just a picture of logo, slogan. Our designer will help finish the design and prepare printing plate.